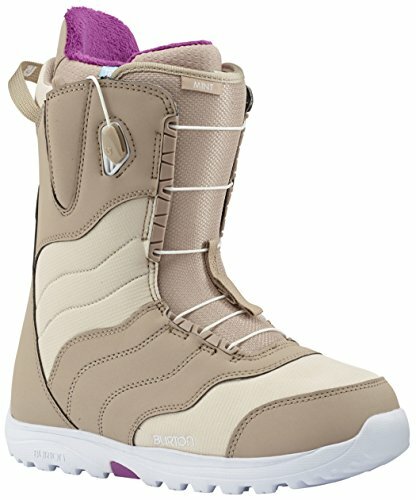 You can't argue with the facts: more women choose the Burton Mint than any other snowboard boot. Whether riding a few times a week or a few times a year, a boot that keeps you warm and happy is essential. For this reason, we up the comfort with Sleeping Bag reflective foil to defy cold weather by capturing and radiating body heat back at you. Mainstays like Burton's exclusive Total Comfort give you a fit that feels perfectly broken in right out of the box. One of the softest, most forgiving women's boot Burton makes, the Mint's proven security is sure to keep you happy after hours of on-hill action.